Since September this year, The Body Shop launched a series of Superfood Expert Facial Masks, with 100 % vegetarian formula made with ethically-sourced and Community Trade ingredients from around the world, each formulated for different skin needs. With the latest craze of multi-masking for the benefit of the different requirements and condition of our skin on different part of our face (forehead, nose, cheeks & chin), The Body Shop's Superfood Expert Facial Masks allow you to mix-and-match the varies masks for different skin concerns! I tried all 5 masks and I find that they all have a common sensation on my skin, the tingling sensation a few seconds after application. 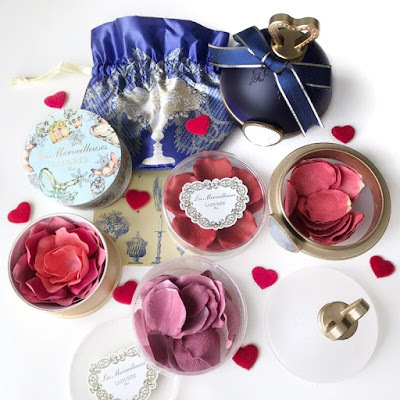 There's two takeaways from such a sensation: the active ingredients are stimulating your skin and penetrating deep into your skin; while it's good to have stimulation, people with sensitive skin should take care not to have it on your skin for too long. Thoughts: This mask helps to exfoliate away the dead skin cells, just take note to be gentle while scrubbing. It has a slight cooling sensation after wash which is quite refreshing! Thoughts: This mask doesn't leave my face feeling tight after use, but the hydration abilities of it is not as obvious as other hydrating masks I've tried but then again~ Fine lines, wrinkles or dry skin isn't any of my skin concerns, so it is hard for me to gauge the effectiveness too. I think it would work great as a pick-me-up mask if you pop it in the fridge and apply when chilled. Thoughts: Out of all the masks, this one contains the gentlest exfoliating grains and I find that it really does help to even out skin tone and reveal a much softer, fairer and radiant skin! This is my favorite one out of the entire range! Thoughts: This mask felt very cooling upon application, but other than that, I don't feel like it did much. It has a slightly better hydration effect compared to the Ethiopian Honey Deep Nourishing Mask. This mask would also work great as a pick-me-up when chilled too! Thoughts: Out of all the masks, this has the strongest tingling sensation on the skin upon application, it also feels very cooling after wash. This mask is great for drawing out the excess sebum in your pores, just take note not to leave it on for too long (below 8 minutes) and wash away with care as the grains for quite chunky. This is a good mask for men, especially if they have oily skin! Although for guys, I would suggest leaving the mask on the skin for 4 minutes max first and gradually leave it longer after each use to get used to the tingling sensation. 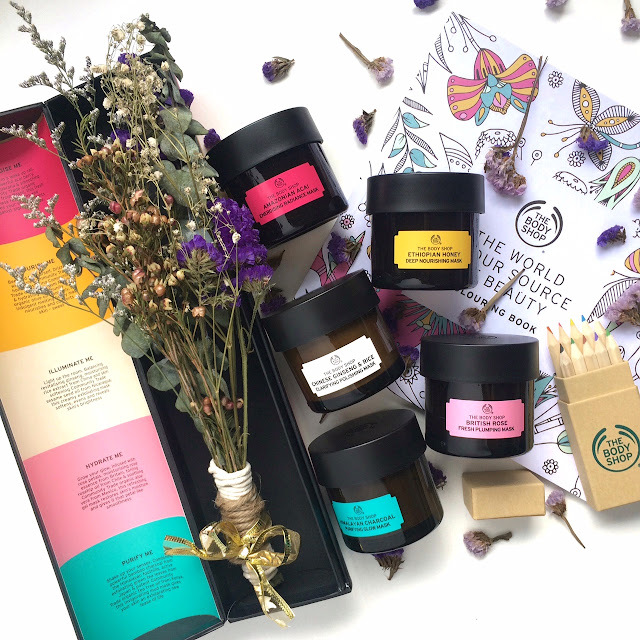 The Superfood Expert Facial Mask series are available at all The Body Shop stores at S$32.90 each. 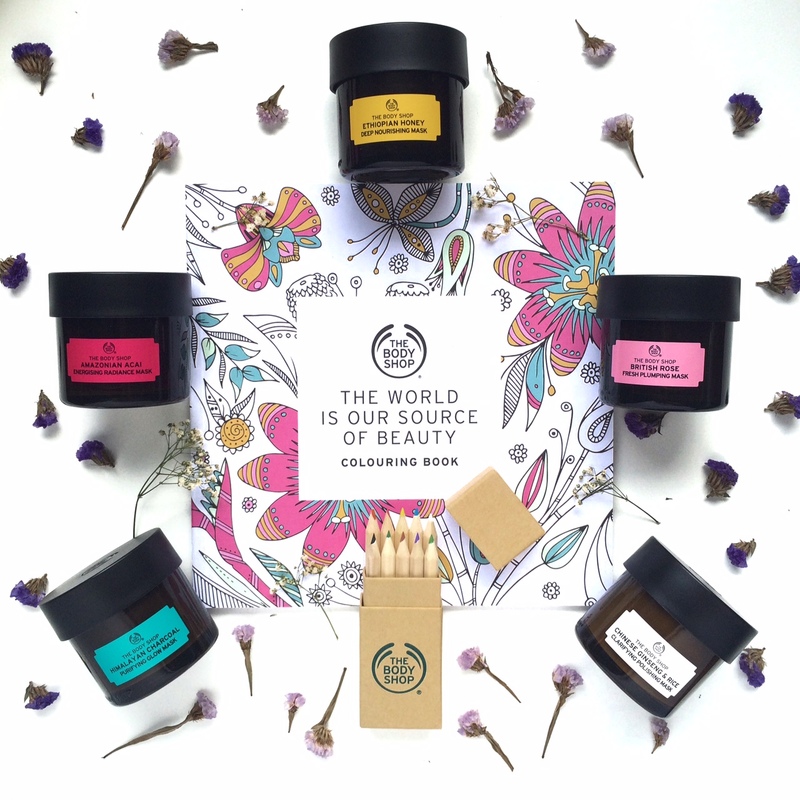 This post has been brought to you by The Body Shop and Word Of Mouth Communication!